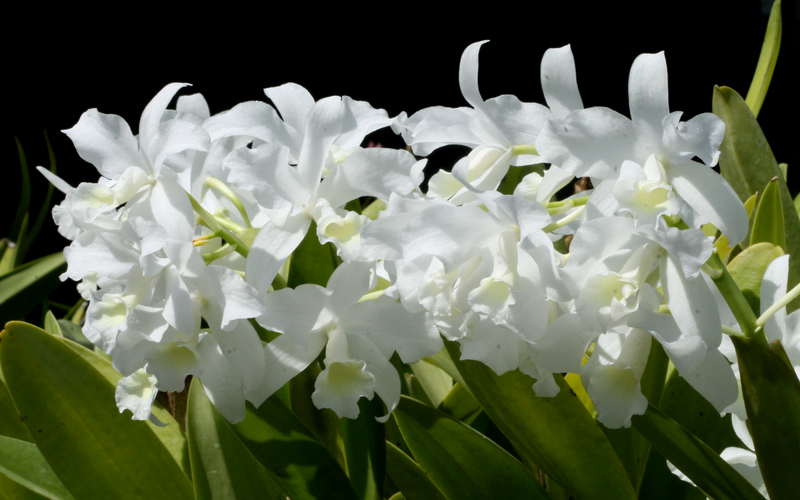 Cattleya is a genus of 113 species of orchids from Costa Rica to tropical South America. The genus was named in 1824 by John Lindley after William Cattley who received and was the first to bloom a specimen of Cattleya labiata. William Swainson had discovered the new plant in Pernambuco, Brazil, in 1817 and shipped to the Glasgow Botanic Gardens for identification. Swainson requested that a few plants be later sent to Cattley, who was able to bloom one a full year before the plants in Glasgow. It would be another 70 years before they would be rediscovered in the wild because of a mixup in the assumed location of the plants. The genus is abbreviated C in trade journals.